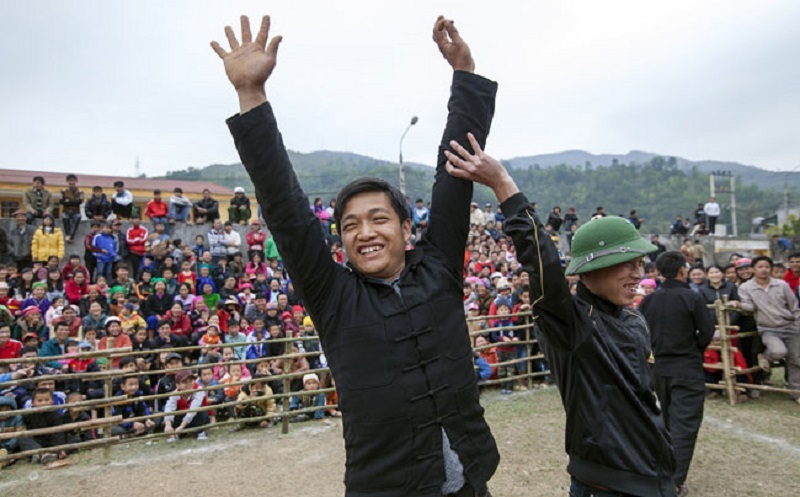 In spring, the northern mountainous province of Ha Giang is bustling with many festivals. 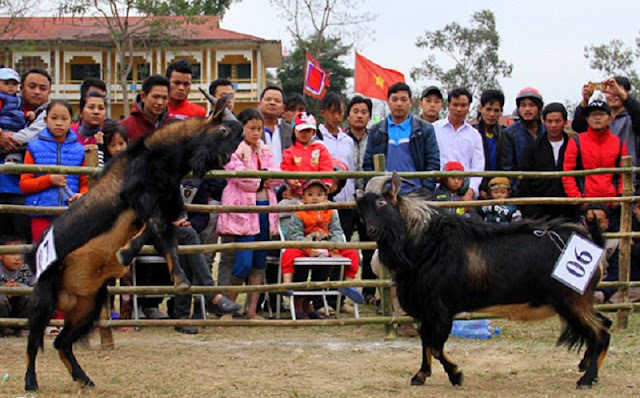 In early March, thousands of people join a goat fighting festival in Yen Minh district. Many strong goats gather in a stadium for the fight. 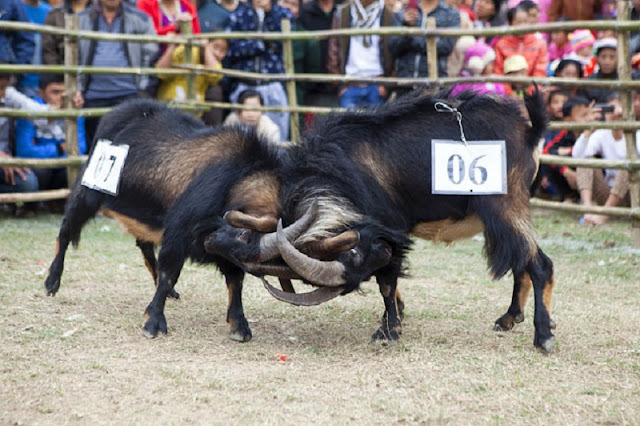 Goats joining the fight weighing between 27-31 kilograms each and sporting long beards, high horns and a clean medical pedigree. 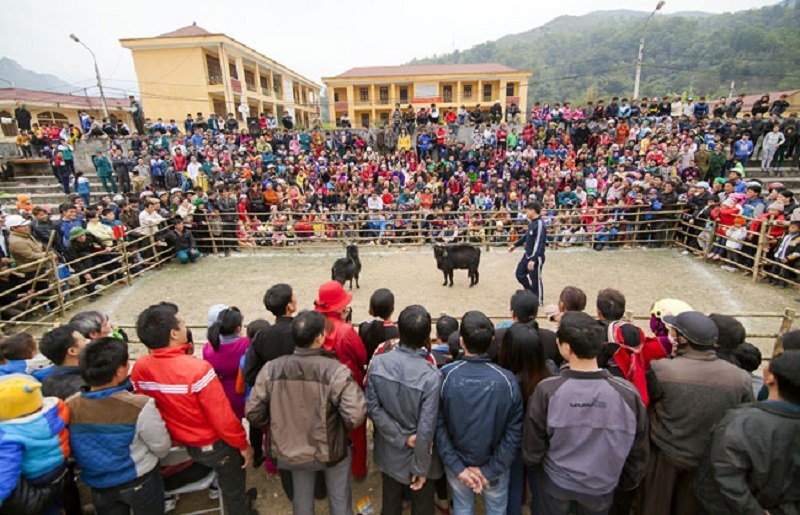 Over some years the goat fighting festival has become a unique cultural characteristic of the province, attracting people from even far parts of the province. 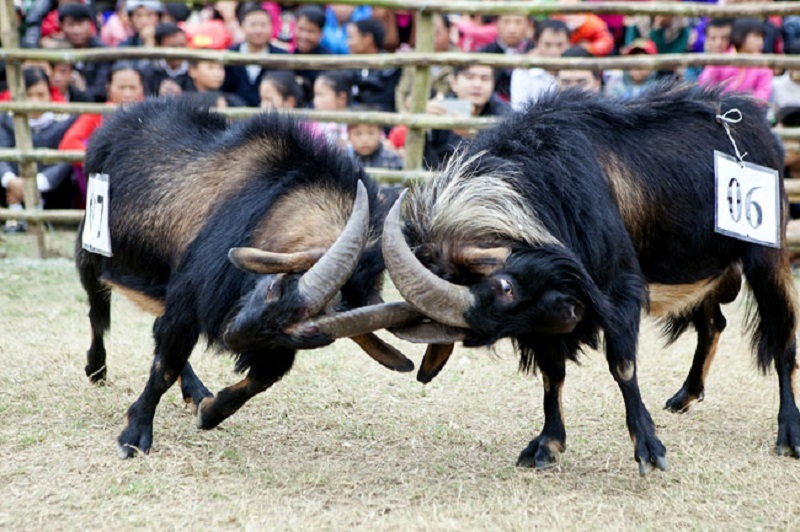 In a normal day the goats quietly seek food on the side of mountains. 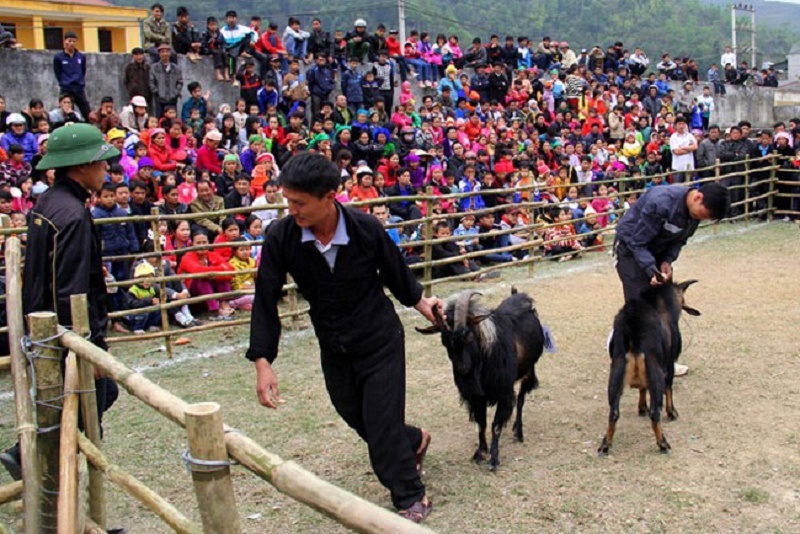 As the festival approaches, the fighting goats receive special care from their owners. 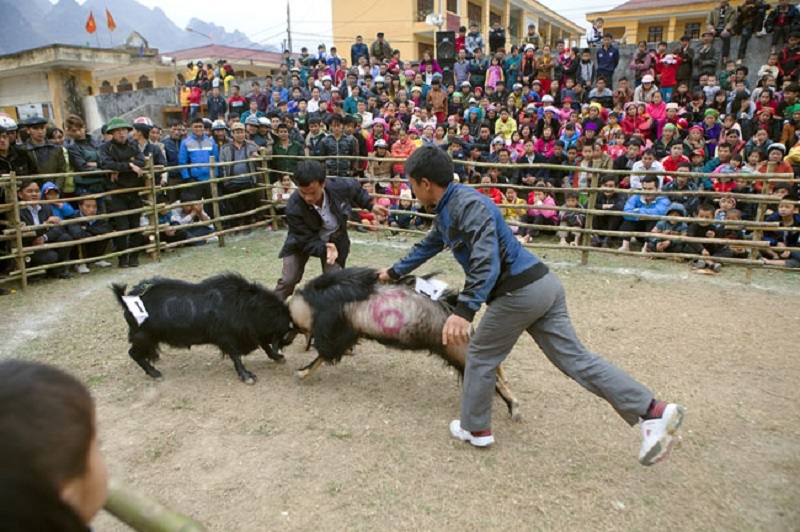 In addition, they are taught how to fight effectively. The goat fighting is no less fierce than other animal fighting such as buffalo fighting in Hai Phong city, horse fighting in Lao Cai province and elephant fighting in the Central Highlands. Goats fight with their utmost among the encouragement of the audience. A goat owner’s happiness when his animals win the fight.